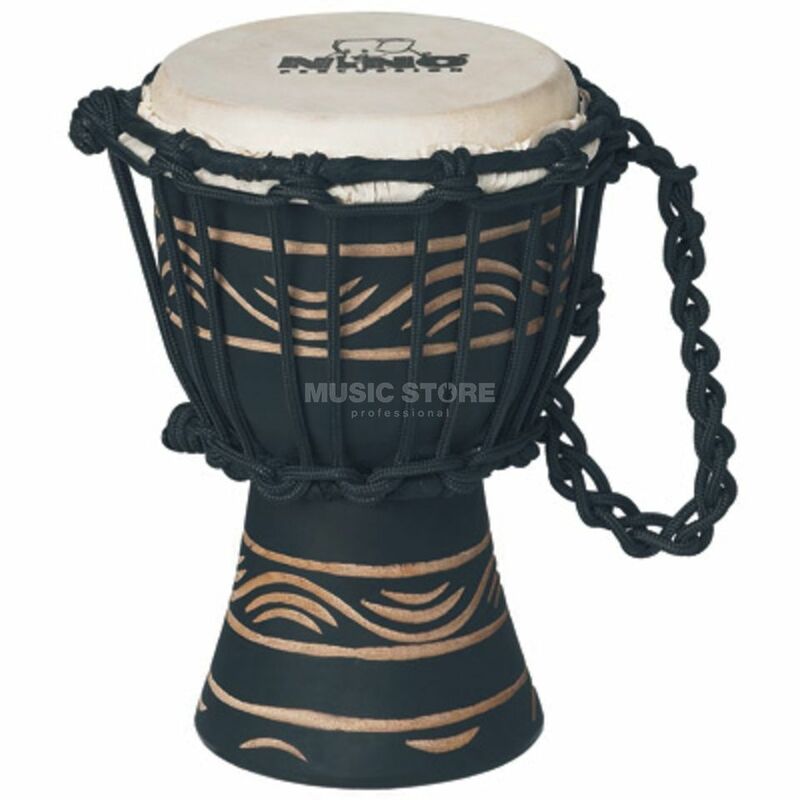 The Meinl NINO-ADJ4-XXS Djembe 4.5" has a black finish with a hand carved design. This high-quality instrument is crafted with great attention to detail and provides an outstanding, full-volume sound. The Meinl Original African Style Rope Tuned Djembe is made from a solid log of plantation grown Mahogany. This wood species has the proper density and stability to assure a good-quality Djembe from sustainable sources. Meinl Djembes are headed with hand selected shaved goatskin whilst a traditional Mali-Weave tuning system featuring a pre-stretched HTP rope is an easy and reliable way to keep the Djembe in tune. The *** boasts deep bass notes, full clear tones, and crisp cutting slaps, all without unwanted overtones.